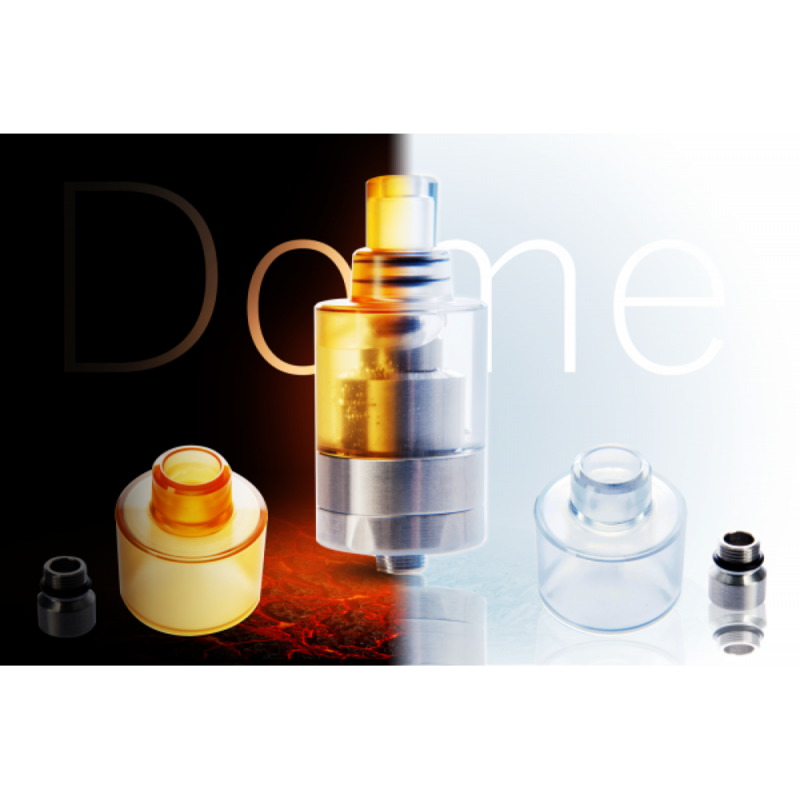 Product information "Lite - Dome", Lite - Bell, "Lite - Longmode", "Lite - window", "Lite - driptip"
The Dome replaces the upper tank assembly of the Kayfun [lite] gives it a unique look and increases the tank capacity. It’s available in two different versions. 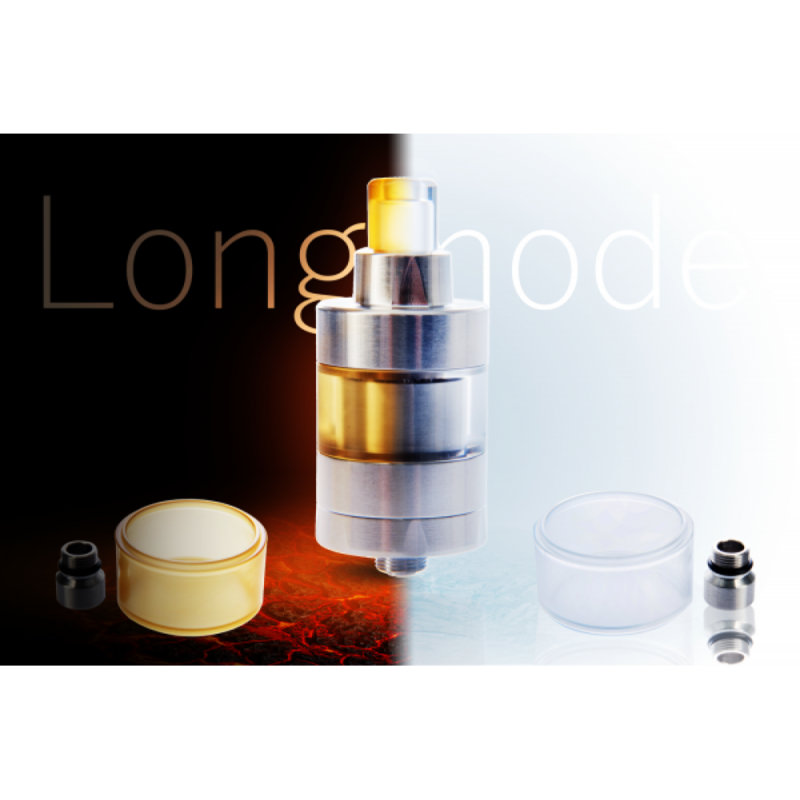 The Longmode replaces the upper tank assembly of the Kayfun [lite] and increases the tank capacity. It’s available with two different windows. 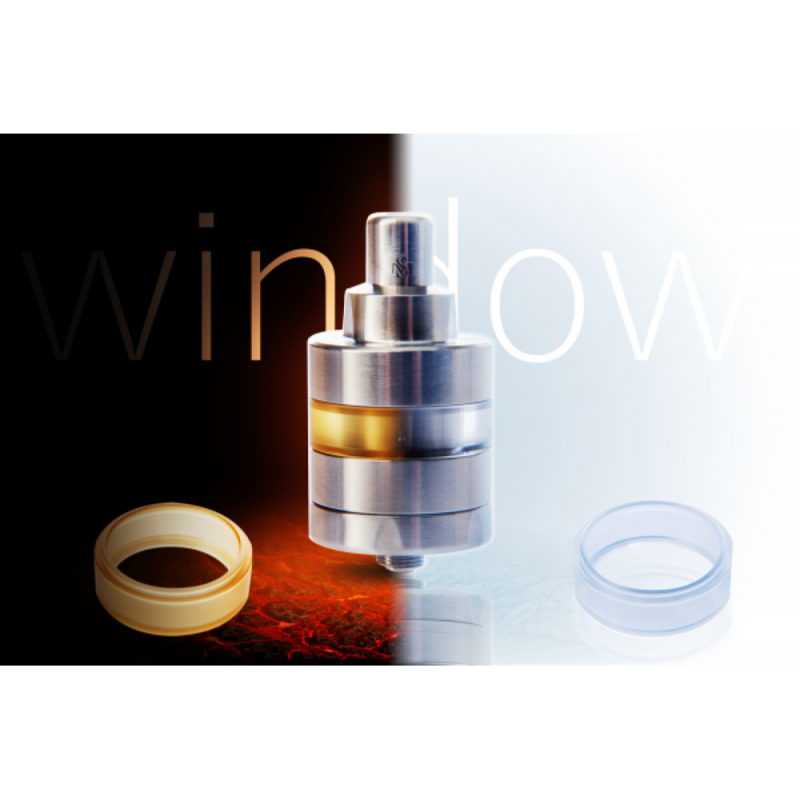 This Window replaces the one the Kayfun [lite] originally comes with. It’s available in two different versions. 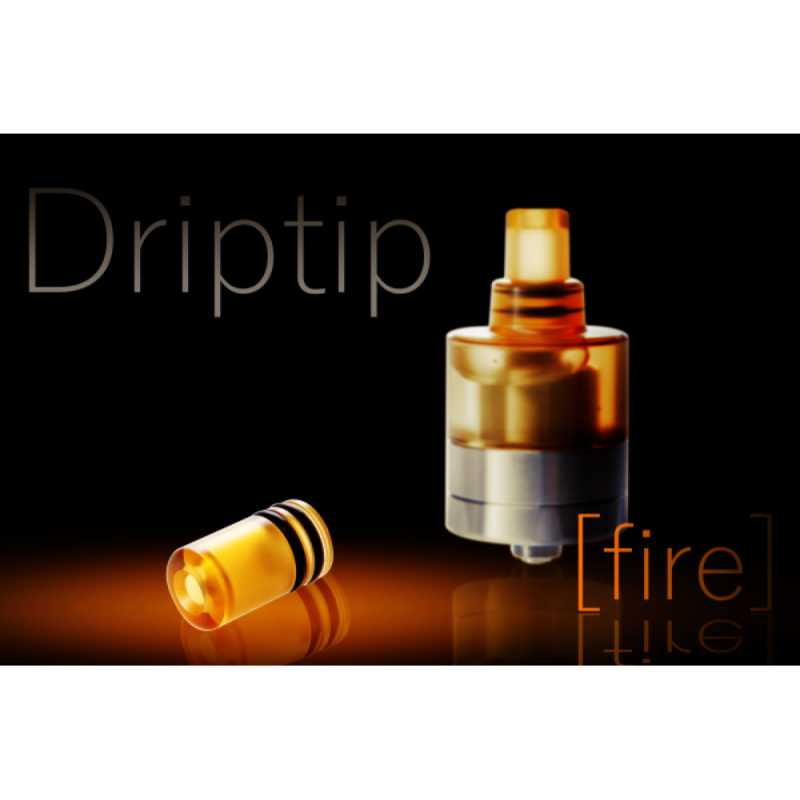 This driptip replaces the one the Kayfun [lite] originally comes with and matches beautifully with other tank accessories. It’s available in two different versions. Made from Polyetherimide (PEI). This material is extremely sturdy and resilient against aggressive e-liquids. Made from Poly(methyl methacrylate) (PMMA), better known as acrylic glass. 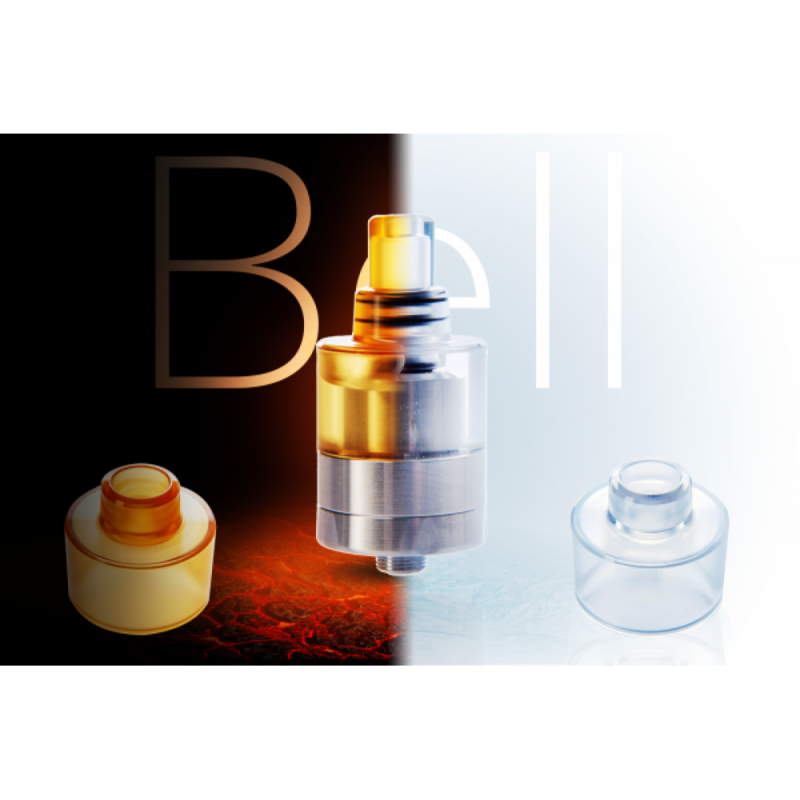 This material has a beautiful “iced” finish that turns crystal clear when in contact with e-liquid. WARNING: PMMA is not resilient against aggressive e-liquids.